Instructions for dehydrating chili peppers in a food dehydrator so you can preserve them for later use, make crushed red pepper, or grind them into powders for your own special seasoning blends. Dehydrating chili peppers is one my favorite ways to preserve our chili pepper harvest. 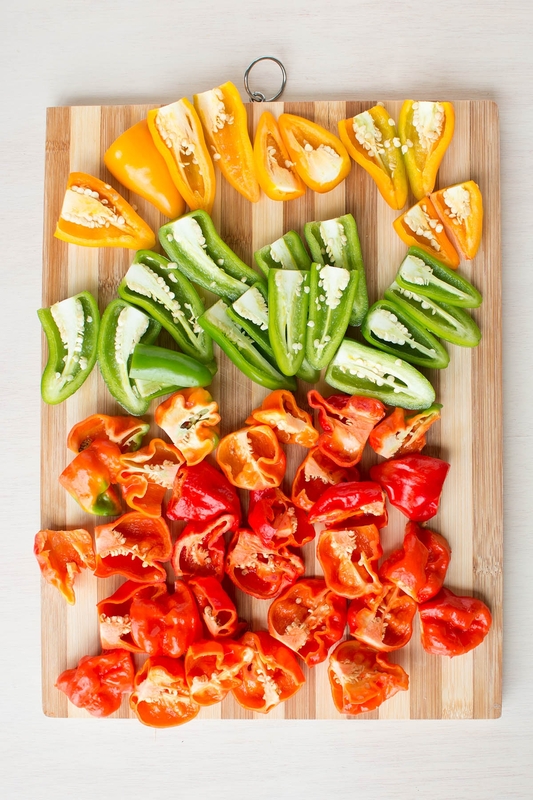 With so many peppers coming out of the garden, it can be difficult to keep them all, but once you start dehydrating, you start to realize you could grow so much more. 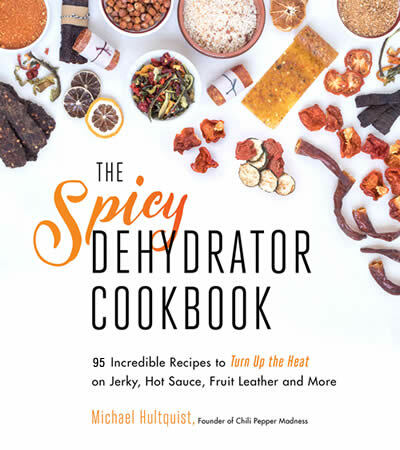 I fell in love with dehydrating so much that I wrote an entire book on the subject. 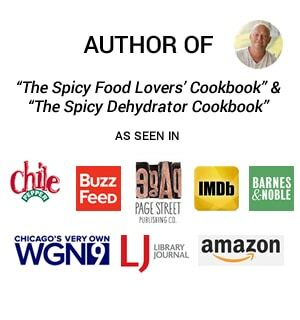 Yes, I am the author of “The Spicy Dehydrator Cookbook“. I hope you will check it out. I of course greatly enjoy other methods of Preserving Chili Peppers, like pickling, freezing, making hot sauces (YES!) and more, but dehydrating peppers is something entirely different and yields outstanding results. Once you’ve dehydrated your peppers, they will last an incredibly long time, and pretty much indefinitely if you keep them sealed in protected bags. You can dehydrate them whole and use them for decorating purposes, or seal them and grind them up as needed. Keeping them whole will keep their overall heat and flavor longer, as the heat does tend to fade over time. I personally like to slice thinner peppers in half and thicker peppers into rings before dehydrating them. Smaller ones can be kept whole, but the more surface area you have to dehydrate, the quicker the process will take. How do you use a whole dried pepper? One way is to stuff them into a pepper grinder and use them to grind over your favorite foods. You will have to break them up a bit to fit, but it works great. I keep a grinder handy with 7-Pots or other superhot chili peppers that I can grind over pizzas or whatever else I want to heat up. They will last quite a long time this way. 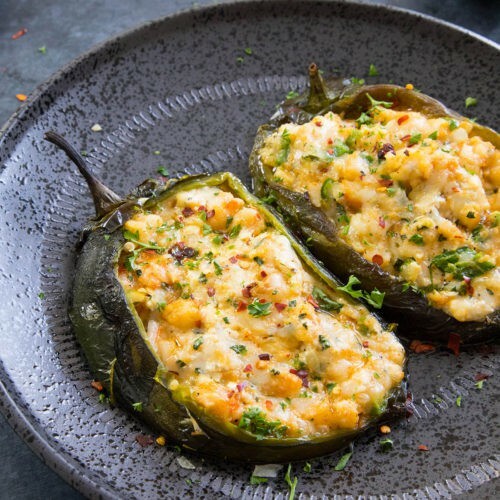 Think of them as your own version of crushed red peppers. 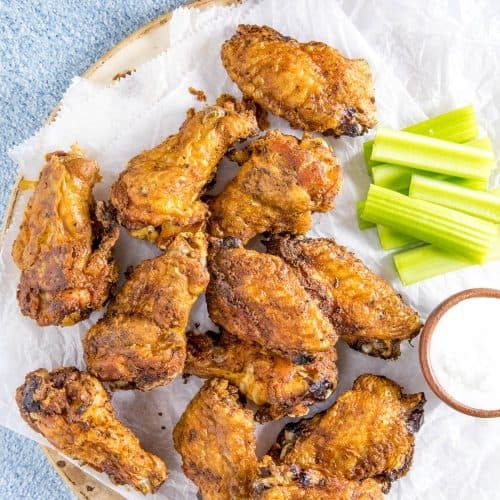 Speaking of crushed red peppers, you can also add the whole pods to a baggie and crush them up by hand, then pour them into a crushed pepper or other container to sprinkle over foods. 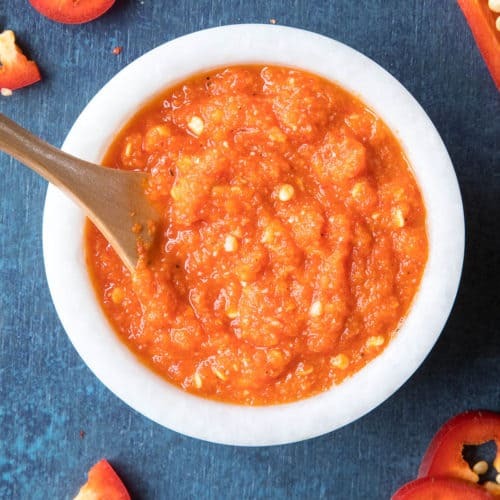 Most people think of pizza for crushed red peppers, but truly, this stuff can go over anything. 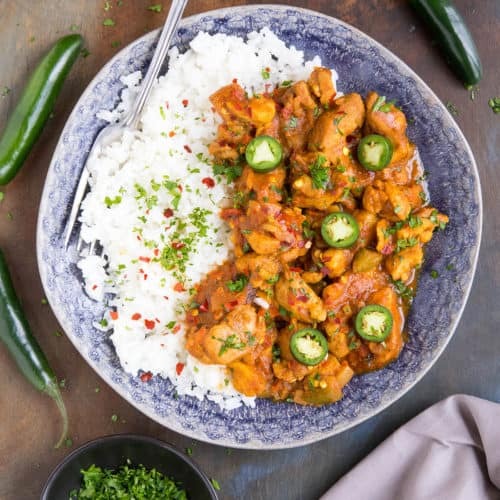 Another option is to rehydrate your peppers and use them to make sauces, hot sauces, or simply to season your food as you would use any other chili pepper. 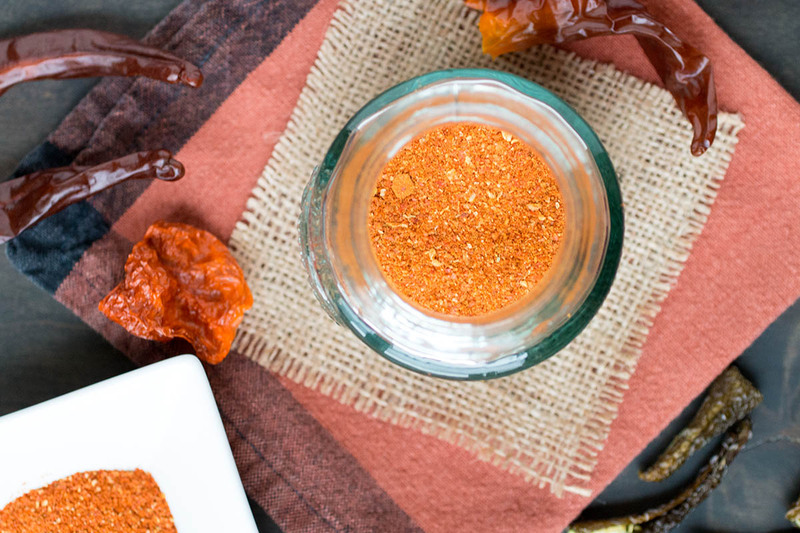 Here is a link for How to Rehydrate Dried Chili Peppers. In general, it is as simple as letting them soak in very hot water until they are soft enough to work with. 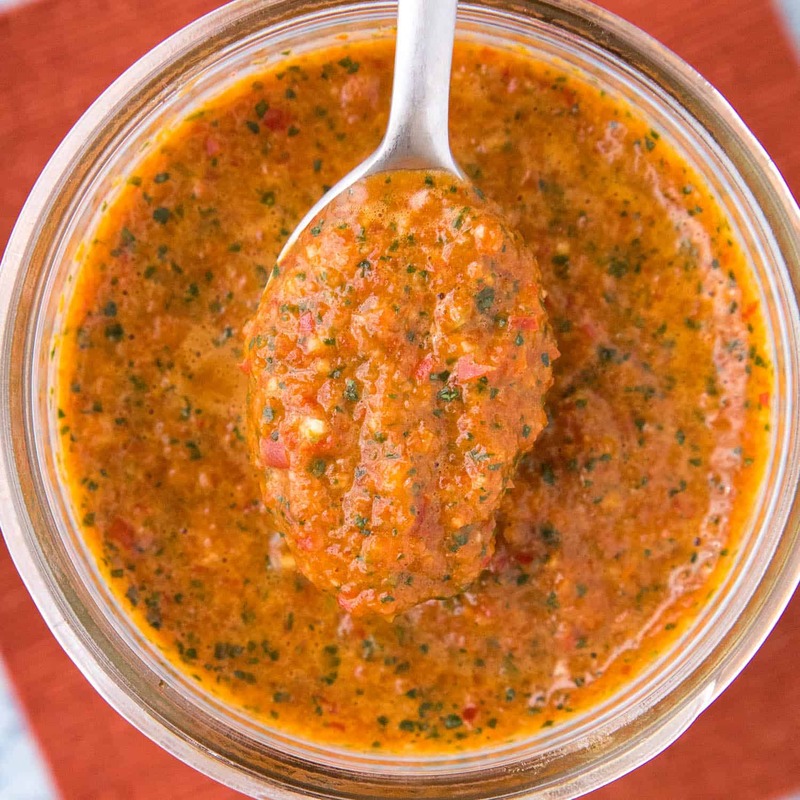 I have made many, many chili pastes this way, as well as a number of hot sauces, which always turn out great. 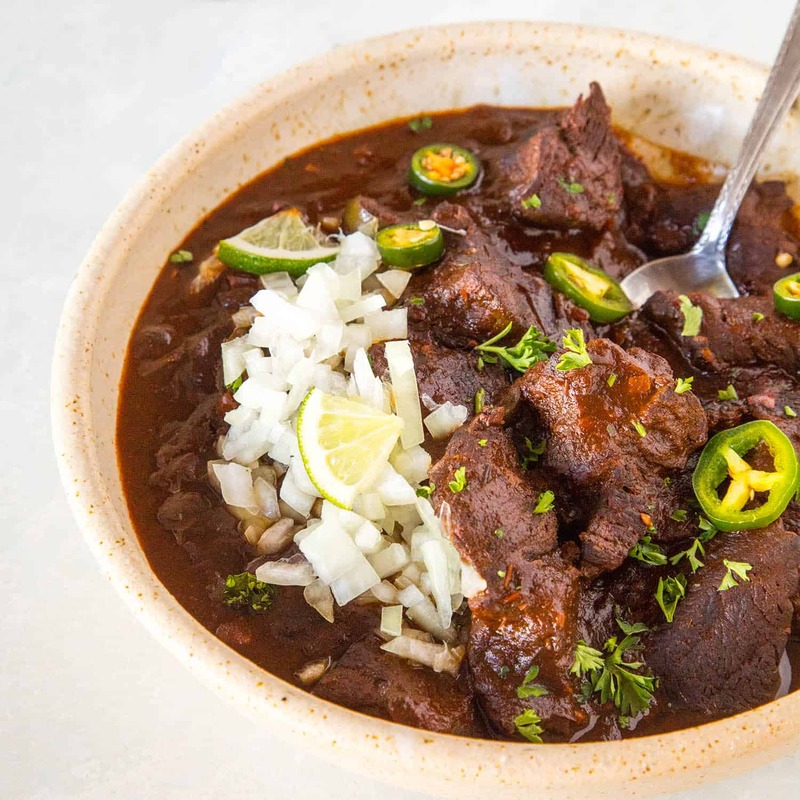 My favoriteuse by far, however, is grinding the peppers down into powders for use in making my own special chili pepper and other seasoning blends. 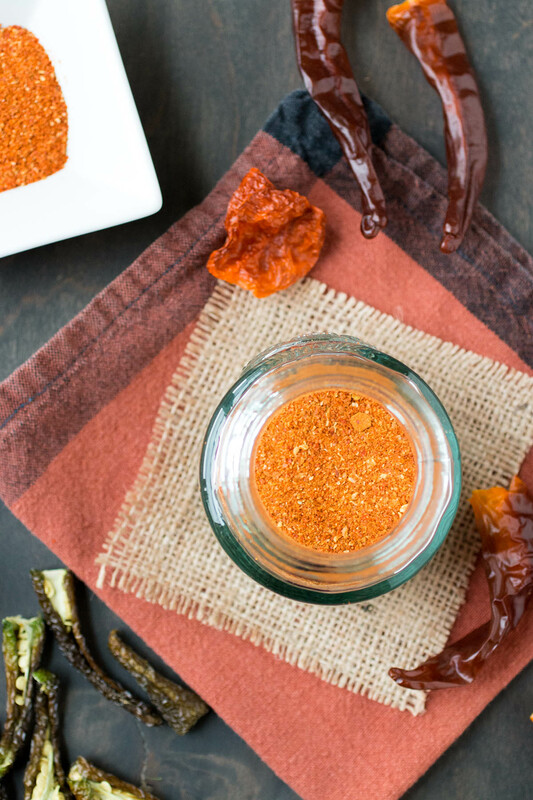 Once your peppers are dried, use a food processor or a grinder to grind them up as finely as you can. This is the grinder I use, which you can see in the video below: Magic Bullet MBR-1701 17-Piece Express Mixing Set (affiliate link). 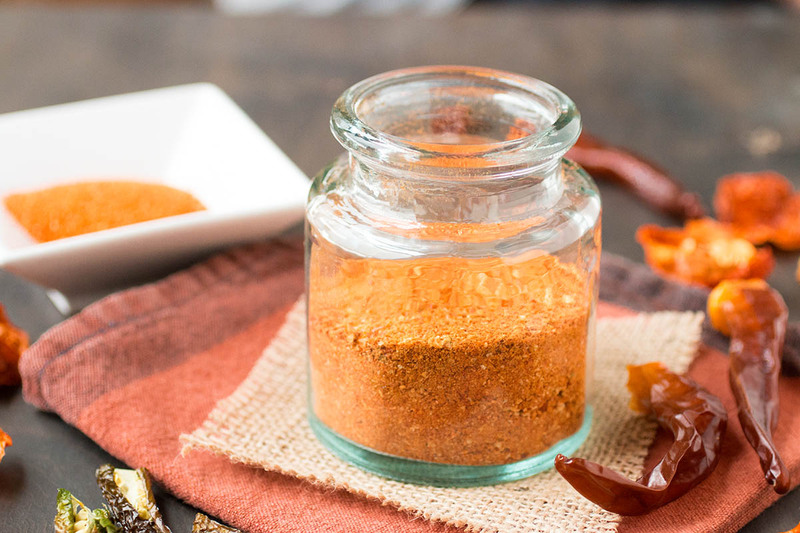 If you’re going to process your dried peppers this way, you may need a mask to keep the dusty powder away from your nose, or do it in a well ventilated area. After grinding, sift it through a fine mesh sieve to remove larger particles. Now you are free to mix your freshly made chili powders with other seasonings, such as garlic powder, dried herbs, salt and more. 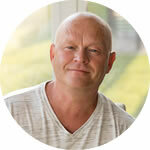 Check out our section on Homemade Seasonings/Spice Blends for a few ideas. I’m making another homemade Cajun blend soon for everyday cooking. I’ve included a video with basic steps below, but here is a list for dehydrating peppers you can follow. It’s actually quite easy. Wearing gloves, remove the stems and slice the thicker peppers into rings and thinner peppers in half. Leave them whole if you prefer, but they will take much longer to dehydrate. The gloves are important when working with peppers because the oils from the peppers can burn your skin, and the pain can linger. Need help? How to Stop the Chili Pepper Burn On Your Skin. 1 pound of fresh chili peppers will yield about 4 ounces of dried chili pepper pods. Once they are dried, remove and store them in baggies or containes, or use as you wish. Keep them in a dark place, like your pantry, for freshness. 1 pound of fresh peppers will yield about 4 ounces dried peppers. NOTE: I like to place my dehydrator in the garage because it will release fumes over time and you will notice the odor. Let the dehydrator sit anywhere from 5 hours to overnight. It will very likely take longer than 5 hours, but much depends on the thickness of the pepper walls and how many peppers you're working with. I personally turn mine on when I go to bed and check it in the morning. The peppers are usually dried by morning, but if not, just leave them in longer until they are dried. Once they are dried, remove and store them in baggies or containers, or use as you wish. Keep them in a dark place, like your pantry, for freshness. This post was originally published on 10/7/2016. It has been updated to include some new information and photos. Enjoy! My dad and I are drying our peppers on the table and he has this food dehydrator! I asked him why?!? You have a dehydrator and your using up half of your table to do this! He said that he doesn’t like the aroma. Then I said, “ well put it in the garage”. He said, “ no because we live in Minnesota”. I’m not quite understanding why he thinks it doesn’t work, but does anyone here have experience with this in a colder state? Leticia, you can place the dehydrator outside, but yes, temperatures can be an issue, and yes, you will get the aroma of peppers in the air when using a dehydrator. Do you find that dehydrating with heat vs. air-dried cooks the flesh a bit resulting in a loss of flavor? I feel like mine start tasting closer to green peppers than their natural flavor. John, I’m actually discussing a topic like this in a chili pepper group, regarding heat and how it could affect the pods. I typically dry my pods between 125-135 F (51-55 C), though I have gone higher temps, up to 140 F. I didn’t notice any flavor loss, though it may depend on what peppers you are starting with, and whether or not you are seeding them or not before drying. 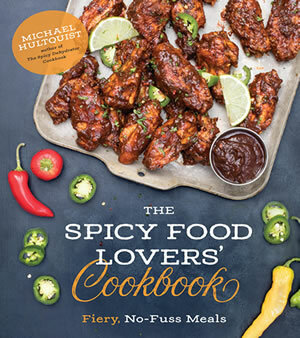 Mike, I was born near the Mexican border 76 years ago and one of my favorite activities was riding the school bus watching the Mexican people utilizing the world’s simplist method of dehydrating chile. It was great feeling the cool fall air, seeing feed shocks in the fields, pumpkins everywhere and every Mexican roof covered with green chile. It was beautiful watching the green turn fantastic shades of pink, yellow and finally red as they reached maturity and started to dehydrate. That sounds fantastic. Wish I could see that. Gorgeous, I’m sure. Mike In the past I canned Serranos,diced carrots, onions, and cauliflower together and everything picked up Heat from the Serranos. I had a new Yankee brother-in-law who thought even Kale was picoso. On day at a family lunch a vegetable salad was passed around the table followed by a dish of my Serrano/carrot mix. For a prank I slipped one of the hot carrots onto his veggie salad. In a short time he screamed at his wife “what did you do the salad?” She yelled back and the fight started. For once chiles made me keep my mouth shut. Haha, great story, Jerry! I love it. I have only been dehydrating for a few weeks but it is so fantastic! I moved it to the garage because of the “aroma” so now our garage smells like a medical marijuana dispensary for the first few hours of dehydrating the hot paper lanterns and thai chili. Sorry neighbors! That’s GREAT, Theresa. Yep, I do much of mine in the garage for the same reason. LOL. Enjoy. After reading a few different articles on what I can do with all the extra peppers I will have, I feel more at ease about not having to waste any. I will definitely be attempting spice. Question: Do I leave all the seeds to be included in the grinding process? REPLY: Thanks, Laura. You can leave the seeds in, but many people remove them before use, depending on the recipe and application. If dehydrating, they will mostly fall out anyway. — Mike from Chili Pepper Madness. Hi, is it not possible to dehydrate in a conventional oven? REPLY: Django, yes, you can also dry in an oven with low heat. I have a page on drying with information about using an oven in the Preserving section. — Mike from Chili Pepper Madness. Hi, I dehydrate all the time. Your steps are basically what I follow but I don’t cut into rings as they will diminish in size quite a bit. I use the large spice plastic jars to store the powder. I have 5 of them: Serrano (loses its smoky flavor but the heat is still there), Jalapeno (keeps the jalapeno flavor and heat), Tabasco (extremely smoky flavored and very hot), Thai (nice flavor and extra hot) and Very Hot (all other peppers go in here from Tepin, Pequin, Douglah 7-pot, Habaneros, Scorpions, Cayenne etc.) Grinding is no problem, it is when you lift the lid off the grinder and release a bit of the powder into the air. After awhile, you will feel it on your face and arms. Pouring into a bag or into the spice jars with a funnel just adds more to the air. Careful – it will get ya.. Sounds great, Leo. Thanks for sharing your methods.